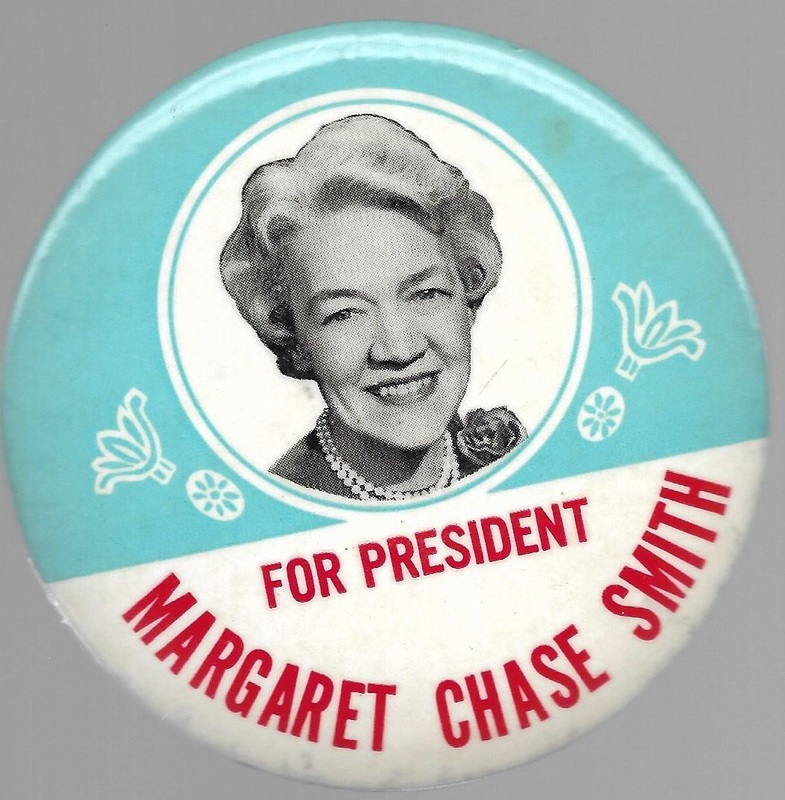 Margaret Chase Smith was a groundbreaking woman politician. The senator from Maine is shown here as a 1964 presidential hopeful. It's a 3 1/2 inch celluloid in excellent condition.